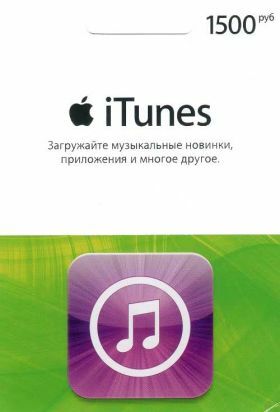 The 1500 rubles iTunes Gift Card can be redeemed only on Russian iTunes and AppStore accounts and will add 1500 rubles to your iTunes or AppStore account upon redemption. Платёж прошёл успешно. Всё быстро пришло на почту. Проблем небыло. Спасибо.